Marine Aquarium Conference of North America held it’s 30th annual conference in Las Vegas this year. 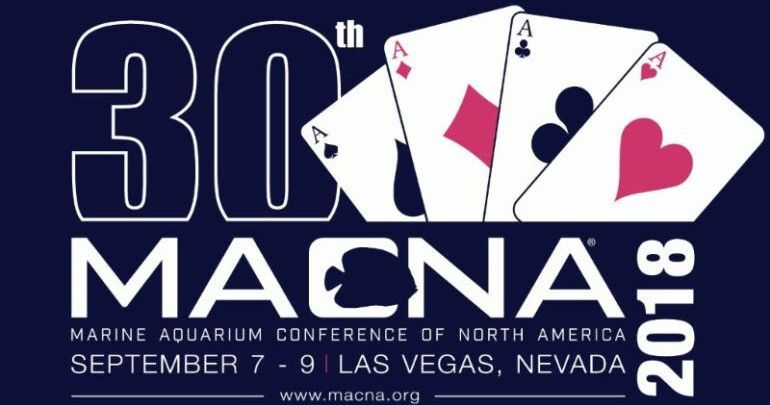 MACNA is hosted by MASNA – Marine Aquarium Societies of North America, a governing body for clubs and reef societies. The show boasted over 150 vendors and over 30 speakers. Since Las Vegas is a popular vacation destination, many attendees brought along their families for the weekend as well. 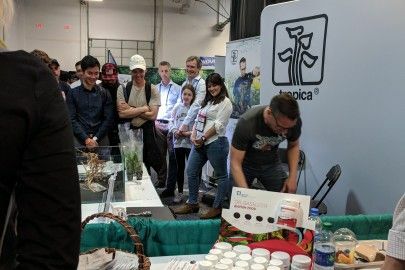 Many vendors launch new products at MACNA, but it is also a venue for aficionados of every brand to meet the manufacturer and get a first hand look at any gear they might be considering for an upcoming build. MACNA is geared more towards the educational aspect of the hobby. Traditionally it is not an event that is known for the coral vendors but for the speaker presentations, scholarships, and industry awards. Aquacultured livestock has been a strong focus in recent years and some notable exhibitors in this category were ORA, Biota, Rising Tide Conservation. Some of the speakers included Melev’s Reef, Joe Yauillo, Paula Carlson, Mark Callahan, Wayne Scott, Richard Ross, just to name a few. The overarching topic was helping the novice or intermediary hobbyist succeed. The local Las Vegas club put in a huge effort to bring in their local members as well as people from all over the world. The keynote speaker on Saturday night at the banquet was Charlie Veron, fondly known as the grandfather of coral because of his extensive research on corals in the ocean and a lifetime spent helping others learn about the reefs. Charlie had cool stories to share but also expressed his concern over the future of the reefs given the current state of decline. He urged everyone to reach out and educate others on the situation. 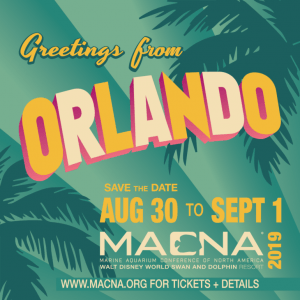 Next year MACNA will be held in Orlando, at the Disney World Swan and Dolphin Resort over Labor Day weekend, Aug 30-Sep 1. They already have speakers, sponsors, and exhibitors lined up. Another family vacation combined with geeking out over everything reef awaits. Get your early bird tickets before prices go up.